Budino is a 12 year old, mix-breed pet therapy dog who has been working with children at Meyer Children’s hospital since he was four. In English, his name means “pudding” and he surely is just as sweet, but after almost nine years serving others, his owners and instructors at Antropozoa have decided that it is time for Budino to retire. Except, he doesn’t want to. Each morning, when they are loading up the car to bring other dogs to the children’s hospital, Budino hops in the trunk, too. To get him out of the car takes a lot of coaxing, which he usually refuses, so his owners must resort to just picking him up. 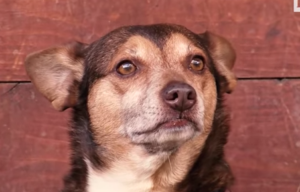 The pup is part of Antropozoa, a volunteer pet therapy organization and farm, where he lives. The special therapy farm has dogs, cats, horses, donkeys, and a rooster and hen. Just one of the organization’s area of support is pediatric intervention, particularly focused on aiding kids with long-term illnesses or health conditions. Budino’s small size, short-hair, and affectionate temperament make him the perfect dog for helping children, although he has visited many other places besides Meyer Children’s Hospital. He is so small that he can even snuggle up with patients who are bedridden. The dog worked in two departments at Meyer Children’s hospital: with patients in the neurosurgery department and also with doctors to create better relationships with their patients. Since Budino has been active in health care for so long, his retirement is well-deserved, but this furry friend has lived a purposeful life of helping others. His instructor notes that similarly to when people in retirement might become sad or bored, there was potential for the same thing to happen to him. 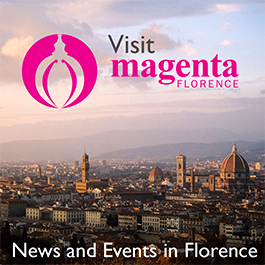 To watch a video, visit Florence’s La Repubblica news site.